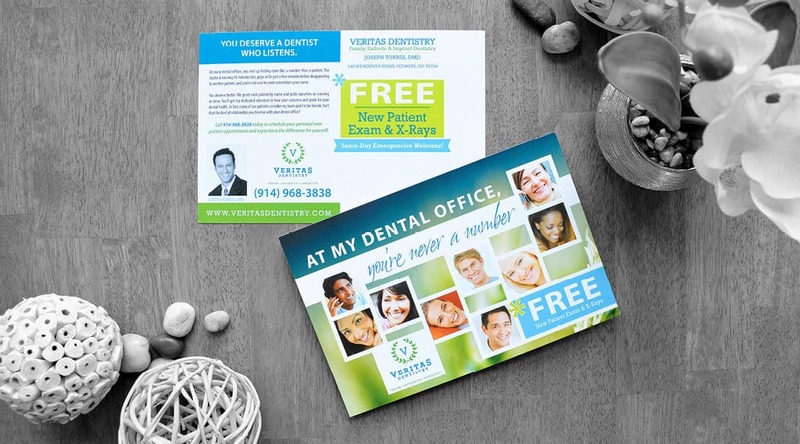 Dental postcards are a perfect way to reach your ideal target audience. Hoping to reach 47 year old moms who finally feel it’s time to put themselves first? Wealthy retirees with 30 year old dentistry? New homeowners with kids who need braces? 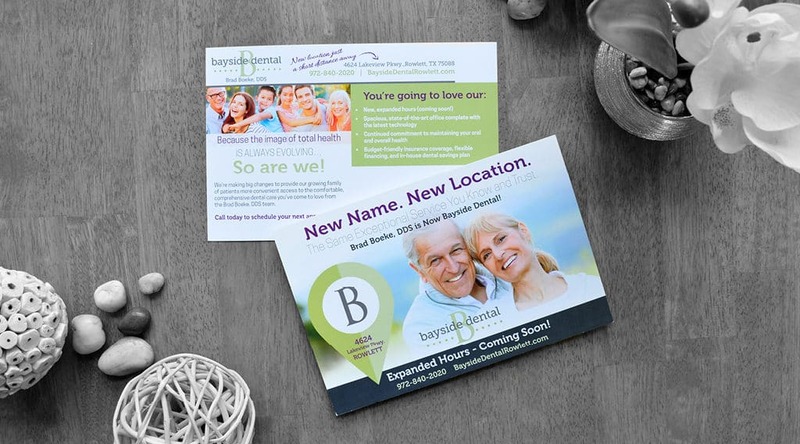 Direct mail is exactly that – direct. It allows us to target any age, income, zip code, or even interest. 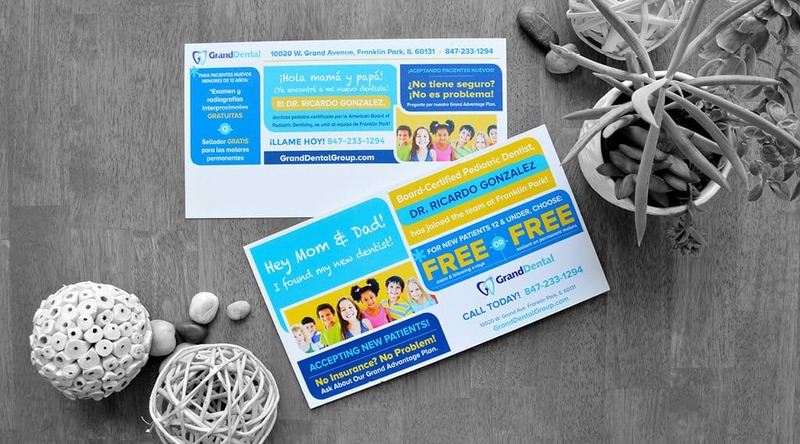 We use dental postcards, letters and brochures to inform and motivate your audience into action. 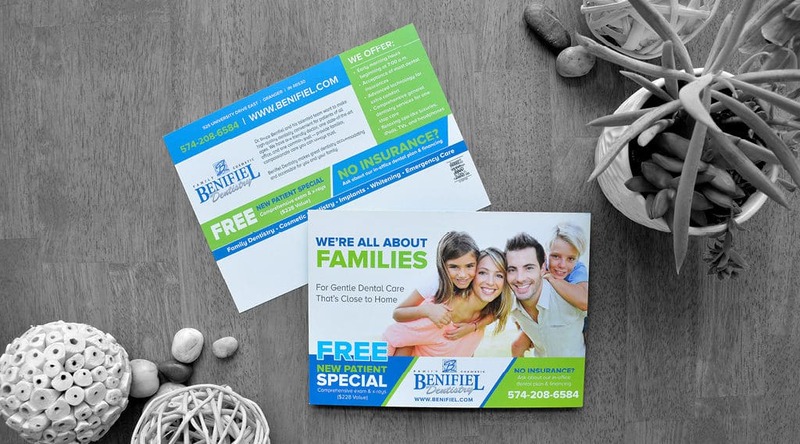 Best of all, every mailer comes with a free tracking number for extremely accurate ROI.